MobileIron keeps you secure; IronWorks keeps you in control. 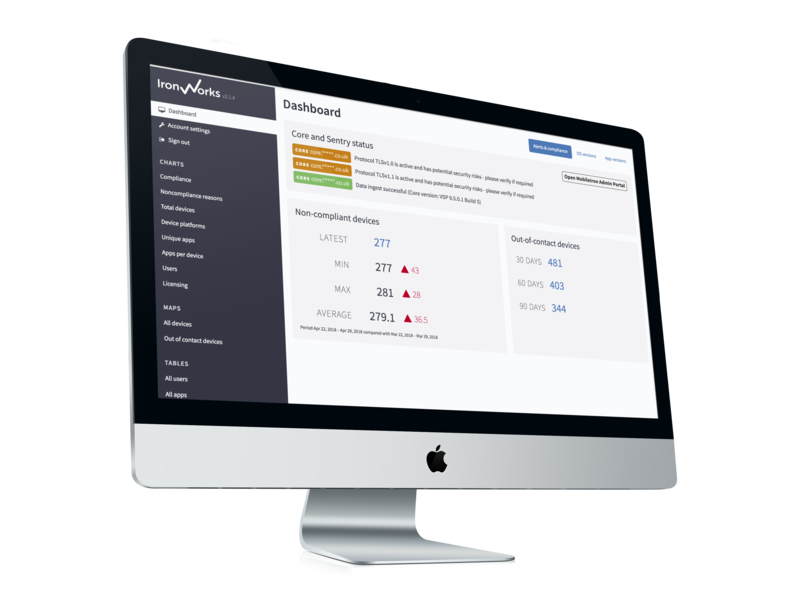 Unleash the power of MobileIron data through IronWorks and automatically generate scheduled reports that provide your senior management team with actionable insights that may help to save your business significant amounts of money. 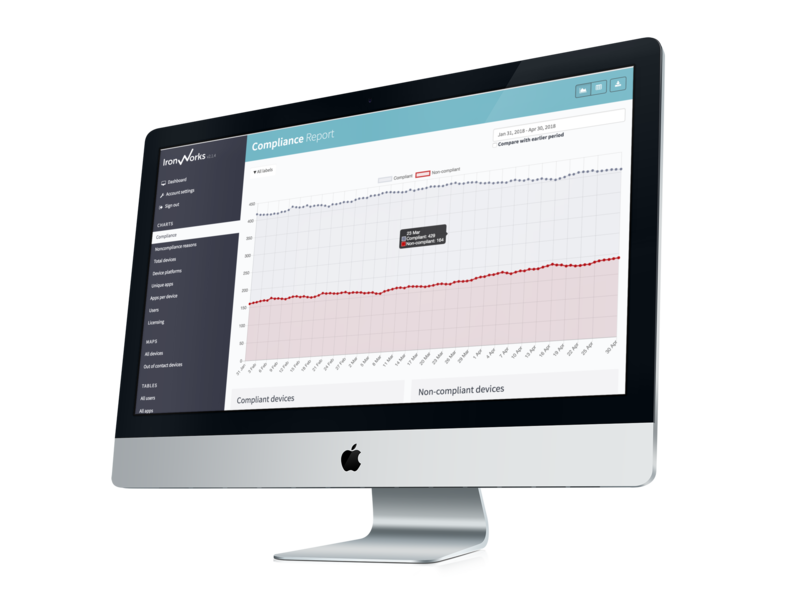 Alongside trend charting and insightful analysis, with IronWorks you can monitor how staff and devices comply with your mobile IT policies. 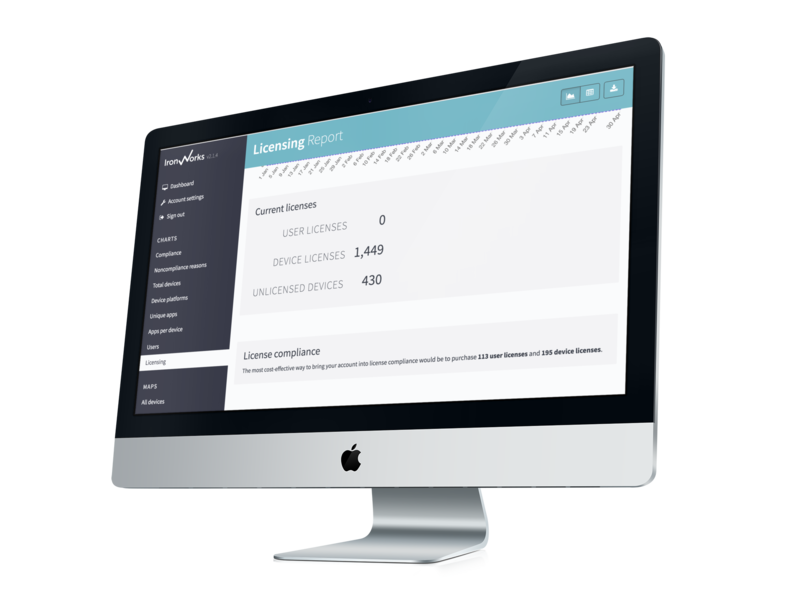 IronWorks is ideal for compliance reporting: its reports can assist you with GDPR, ISO27001 and regulatory framework requirements. This helps to ensure that all your systems are secured and compliant. IronWorks can be incorporated into any server-based MobileIron installation. It can often pay for itself immediately. 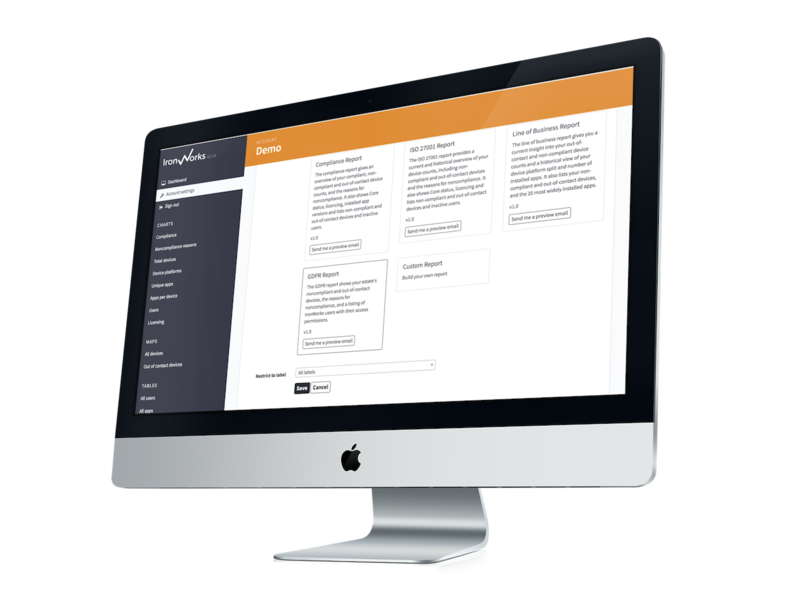 Want to learn more about IronWorks and how it could work for your business? Book your free trial today.